I know....Oh my god! Its no secret. 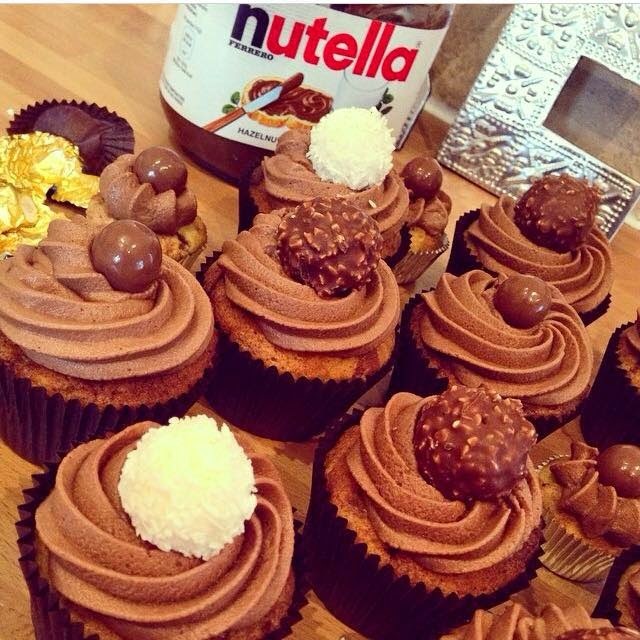 I'm addicted to Nutella so I had to eventually make some cupcakes. I didn't want to make them toooo chocolatey because I wanted them to taste of Nutella. So I had a little look through my books but nothing caught my fancy as I have to like all the ingredients and if the method is too hard its not for me! Anyway I've adapted this one from a few and UHMAZING if I do say so myself!